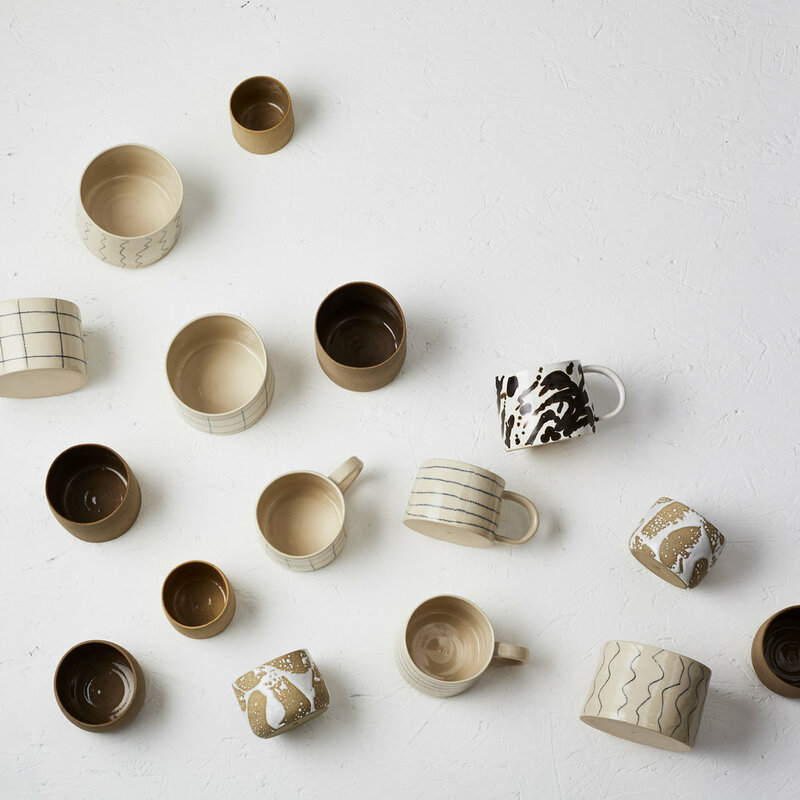 Ceramicist Paige Mitchell is based in Norwich, where she is also known as the founder/owner of lifestyle store Elm. I’ve been working with some of her products for a while as part of my day job, as I do the PR for Room 356 (one of Paige’s stockists). It suddenly occurred to me that she’d be a perfect candidate for an interview on Decorenvy! Below I caught up with Paige to learn more about her business and how she works. 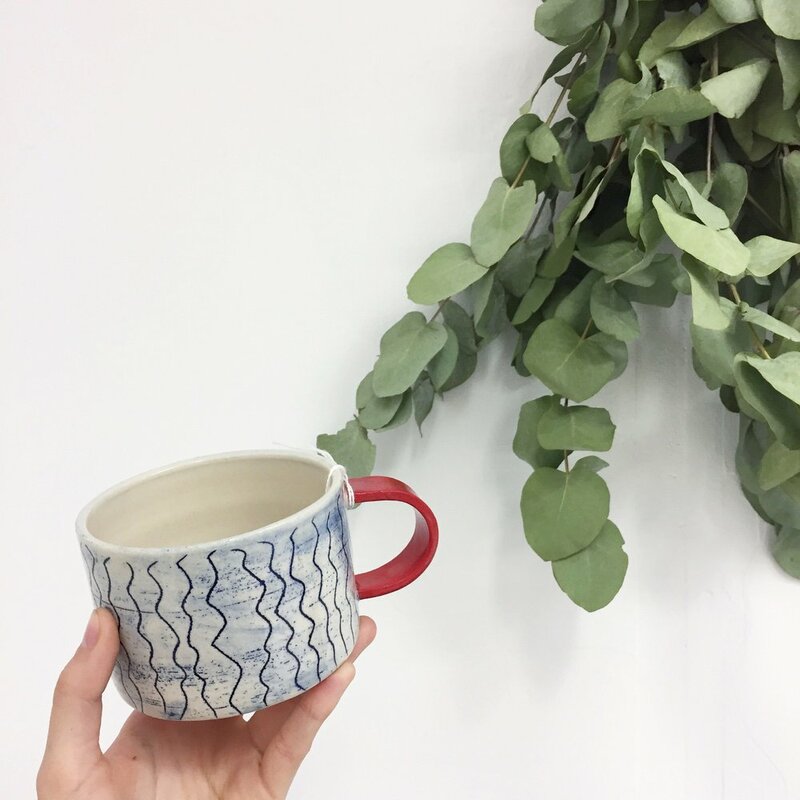 I started making ceramics a few years ago, as a hobby, as it was something I had always been interested to learn. I got to grips with it really quickly and I loved it so much. I was studying illustration at the time, but wanted to find a way to make my work more tangible. I now own and work out of my lifestyle store - Elm. I use this as my main branding these days, but it also allows me to expand on my personal brand too. It has helped me so much, not only in getting my name out there, but also in learning how to communicate with buyers/clients, and in my understanding of wholesale. What gave you the inspiration to found your companies? I have always been interested in business. I remember in school, I would always be thinking of ideas and things I could potentially make and sell. I once won a trip to Paris because of my entrepreneurship! It could have taken a very long time for me to be confident enough to go straight into full time ceramics. The shop bridged the gap, and it allowed me to do something I loved every single day. It also helped me have enough income to live and support myself on a day to day basis. 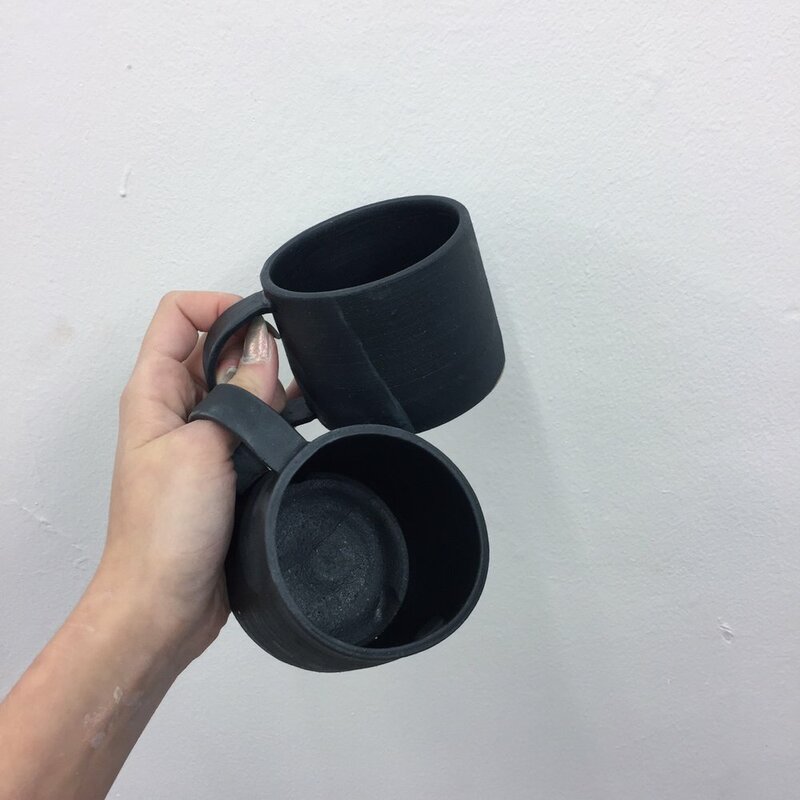 How are your ceramics made? All of my pieces are made by hand by myself. I either throw them on the wheel, or hand build them (usually with the pinching method). I will take some raw clay and weigh it - this allows me to get a more precise size every single time i make an item. I will allow the pieces to dry slightly before stamping and assign any surface detailing, after this I will leave them to dry completely. Once the work is completely dry, it becomes incredibly brittle. This is when the work goes in for its first firing - the ‘bisque’ firing. This is a low temperature firing of 1000 degrees, which leaves the clay surface porous enough to work with in terms of any final decoration and glaze. After any decorating and glazing, I will fire my work up to a high stoneware temperature of 1250 degrees. Once the kiln has cooled completely (back down to roughly room temperature, which can take around 24 hours or more front he beginning of the firing!) I can open the kiln up and find all my new pieces, ready to go off to their new homes! For my personal brand, I would love to be expanding my wholesale across the UK, and across the world for that matter. I have some pieces going off to Singapore in the next week or so, which I am really excited about! I also have loads more experimenting with new styles and ideas that I would love to do. For Elm, we are currently just trying to get started on the festive period, which is mad for anyone in any retail position! We have just started working with some artists and designers and are getting some of our own greetings cards printed. We just launched our online store and I am currently renovating the first floor of the shop too, so there will be more retail space eventually! One day I would love to get a warehouse for all of our stock, and potentially even open another store in a different city!